The findings of the research were published in a paper titled, A Vacuum-driven Origami “Magic-ball” Soft Gripper. 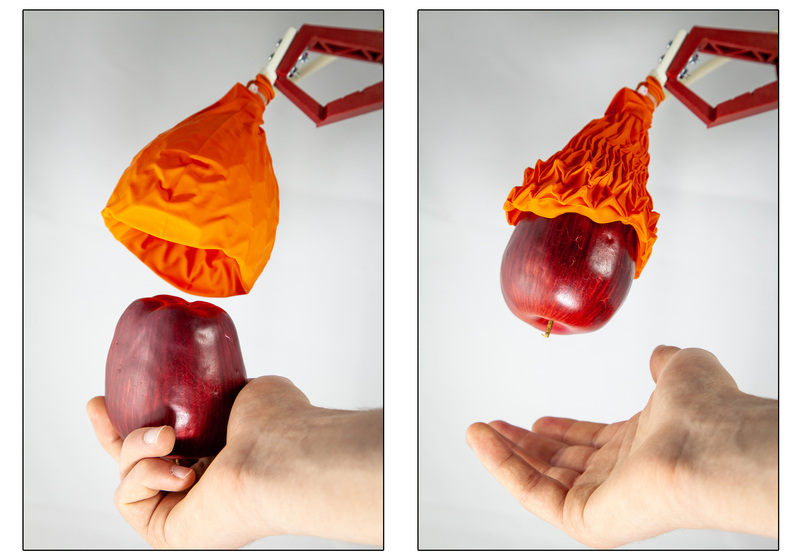 The origami-inspired gripper holding an apple. Image via MIT. In robotics research, 3D printing is proving a competent method for testing prototypes and manufacturing fully functional devices. Examples of recent research in soft robotics, modular robots, and Wyss Institute‘s bioinspired robotic hand for studying fauna have emphatically brought this point forward. The latest research was founded upon the team’s previous concept called Fluid-driven Origami-inspired Artiﬁcial Muscle (FOAM). The FOAM consists of an airtight skin and a malleable skeleton structure which contracts under negative pressure. The newly created ‘magic ball’ gripper works on the same principle as FOAM and is inspired by origami magic ball. The magic ball gripper is smaller in size with increased skin constriction, which increases the strength of the grip. An origami magic ball. Image via YouTube. Three different prototypes of the ‘magic ball’ were made, with different material and dimensions. Using the Stratasys Fortus 400, the research team 3D printed molds in ABS to cast the gripper. Two of the grippers were cast in silicon rubber and one was made with PET/PVC/Kapton composite and TPU coated nylon.